Everybody knows that fruits and vegetables are good for your health, but some fruits or vegetables are more healthy than others. Cranberries are not only delicious to eat, there are also some health benefits of cranberry juice. Cranberries are rich on vitamin C, sodium, vitamin A, calcium to name some. They have health benefits on urinary tract infection, dental care, heart diseases and respiratory disorders. In many nursery homes it is used to treat and prevent urinary tract infections. 100% Cranberry increases the acid level in urine and this high level of acid kills bacterias and so reduce the risk on an infection. Cranberry juice also contains anti-oxidants that have a positive effect on the health of your bladder. Scientific research has stated more positive effects on your teeth, obesity, respiratory infections and stomach ulcers. In order to produce the maximum health benefits of cranberry juice, you have to drink a 100% pure juice. You don’t want any preservatives or artificial flavors added to the juice. Watch out for some brands that you find in supermarkets because they often have only 30% real cranberry juice added with water and sweeteners. Some packages will say 100% juice but this will not automatically mean 100% cranberry juice. Therefore it is important to check the ingredients to see if it is pure cranberry juice. For some people cranberry juice might be too bitter to drink. If you don’t like the taste of it but you want to have the benefits than there are a few options to change the taste. One option would be mixing it with apple juice. Also choose 100% apple juice and not apple juice with a lot of preservatives. You could also try mixing it with other juices to change the flavor a little. If you can not find a label with 100% cranberry juice than try the labels with at least 30%. Scientific research has proven that this is the level you need at least to get the most health benefits of cranberry juice. 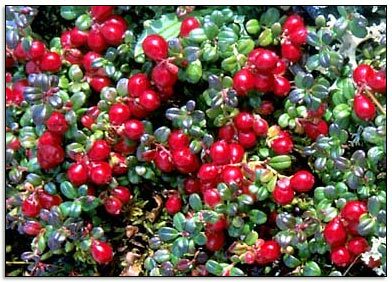 It is only for some years that we use cranberry to treat or prevent a variety of diseases and we do not yet know the true strength of it. Therefore I can only advice for everyone to drink some regular fruit juices and drink cranberry juice once in a while. Especially for people that have regular bladder infections it is advised to drink a glass of cranberry juice daily. And if it won’t cure you, it will surely not harm you.